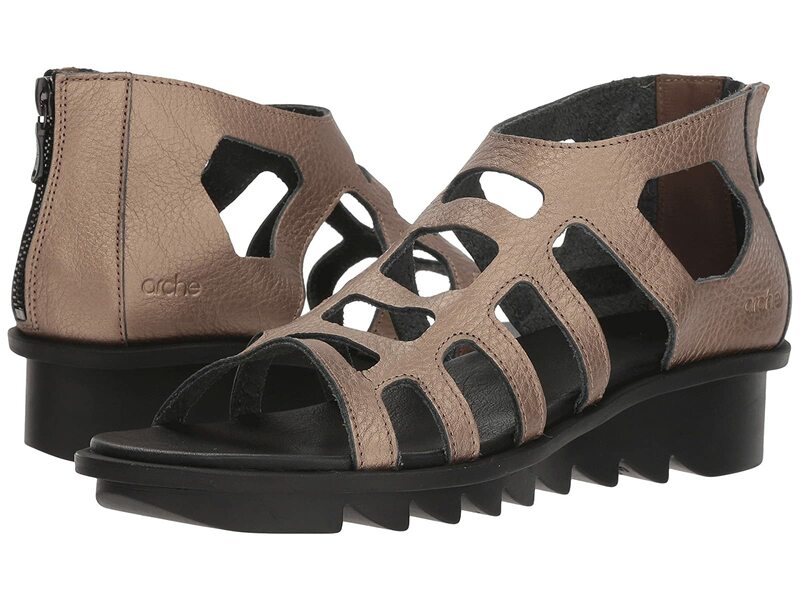 Treat yourself to modern style with the Arche® Ikyade sandal! Open toe caged sandal with graphic cutouts. Scratch and water-resistant nubuck leather and smooth vachette fast leather. All-natural latex outsole for maximum shock absorption and comfort.